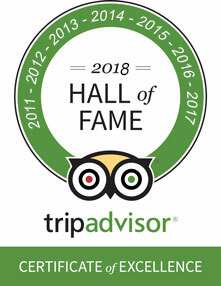 Island Explorer offers a variety of experiences for all ages - from young families to corporate groups. Engage with Lowcountry nature in an intimate small boat experience and take home memories to last a lifetime. 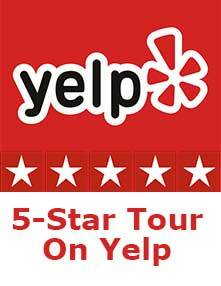 Our tours are designed each day in harmony with the Hilton Head Island tides. High tide cruises differ from low tide cruises in many ways. 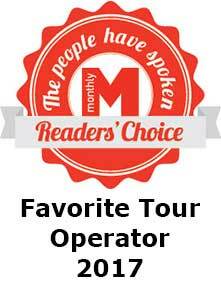 Ask about the tides on your tour. 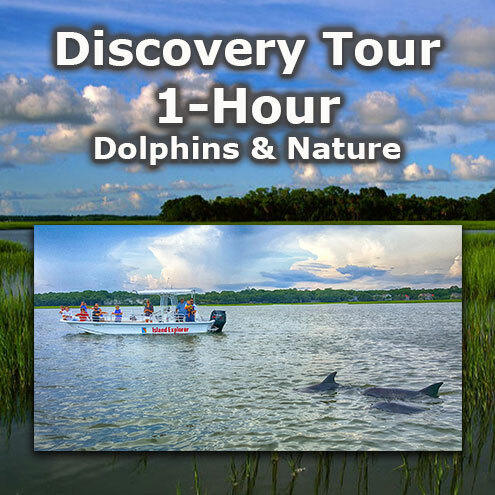 Our one hour discovery tour is a great introduction to Hilton Head Island's beautiful salt marsh environment and dolphin habitat. It's perfect for younger children, senior citizens, or anyone that wants a shorter time on the water. 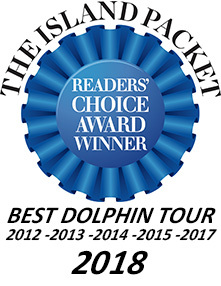 This trip gives you the intimate small boat experience for the big boat price - the best dolphin tour deal around. 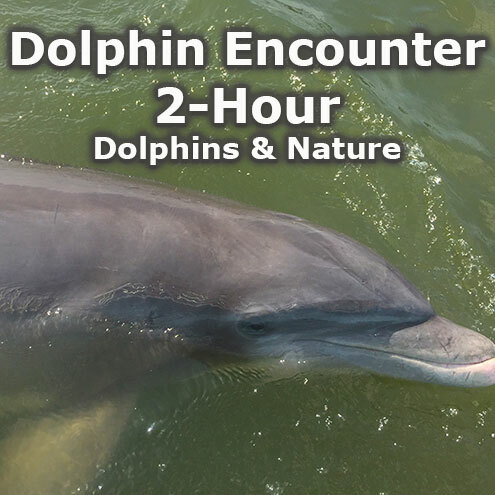 Our two hour ultimate dolphin encounter and nature tour brings our guests the best of Hilton Head Island. marshes of Broad Creek to the Calibogue Sound. 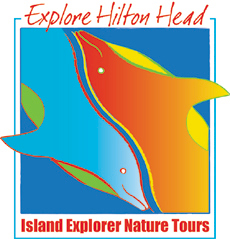 See more dolphins and enjoy more scenery on the best two hour boat tour on Hilton Head Island. Island" which is exposed only at low tide. 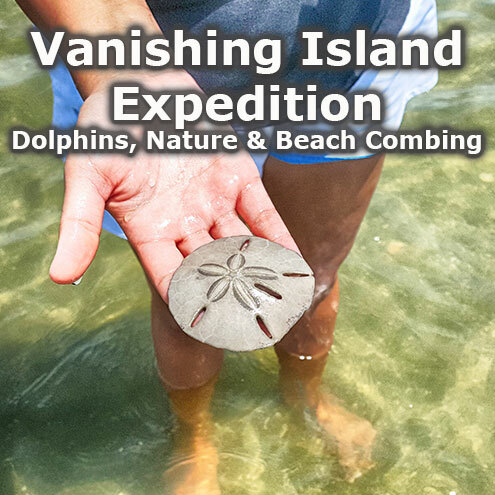 You'll step off the boat and stroll the sand bars and shallow waters looking for sand dollars and shells. 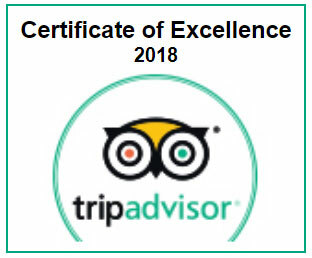 Experience beach combing available to only the few. Our sunset cruise takes you through the cooler, calm evening out to the Calibogue Sound to view a beautiful sunset over the water. It's a great time of day to spend a relaxing time with friends and romantic moments with loved ones. 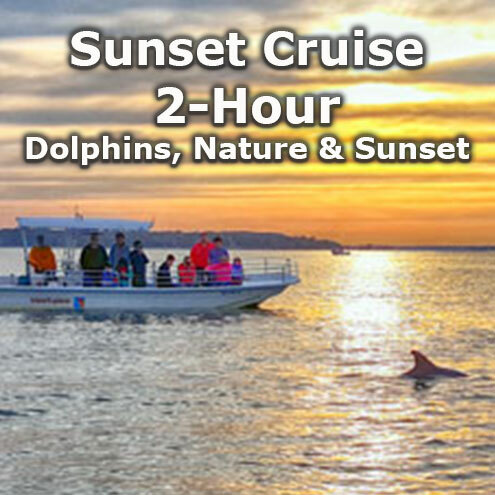 The time around sunset is a great time to see playful dolphins and beautiful water birds flying and feeding.